Monitor the health of all critical vehicle components. The EVControl™ system uses modern, model-based code design to create a flexible control architecture that can be customized to accommodate a wide variety of components. Key functions such as battery management are fully integrated into the EVControl™ system so factors such as battery voltage and temperature are taken into consideration in responding to driver commands and various driving conditions. 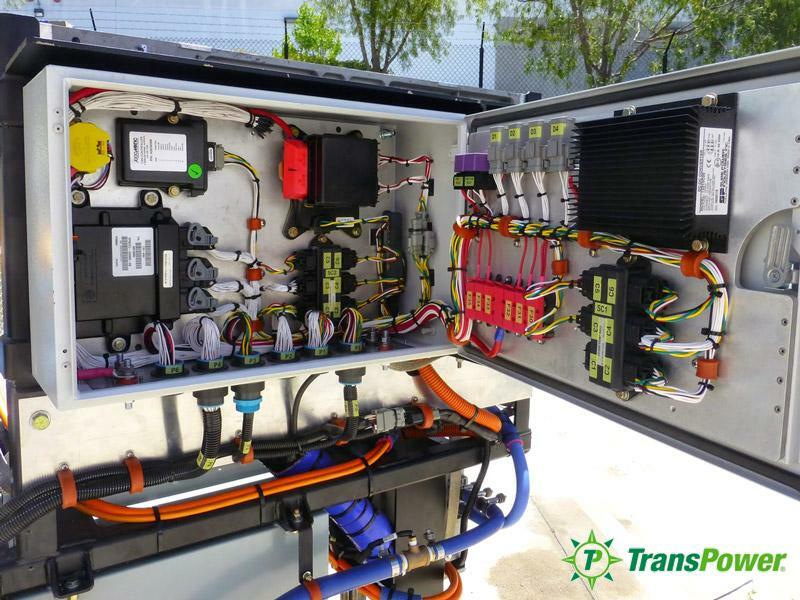 The EVControl™ system is used to provide for safe and efficient operation of a wide variety of heavy-duty vehicles using ElecTruck™ components. Operator interfaces are simple, which makes vehicles using these controllers easy to drive. Diagnostic tools are also very user-friendly to facilititate servicing, and the flexible control architecture makes it easy to upgrade the drive system if new and improved components become available.